WASHINGTON—Declaring that such sloppiness came at a significant financial cost, a report released by the U.S. Bureau of Economic Analysis on Monday found that the U.S. loses $20 billion each year to Americans writing ideas down illegibly. 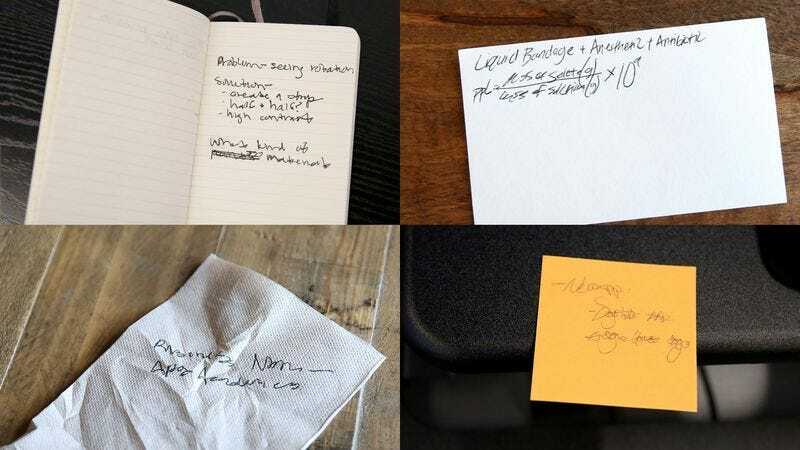 “The data strongly suggests that Americans’ inability to decipher their own hastily jotted notes for a variety of groundbreaking innovations results in billions being forfeited annually,” said lead author Adam Hofmann, noting that all sectors of the economy were negatively impacted by revenue squandered due to unreadable scribbles of inspiration. “These notes, scrawled late at night after suddenly waking up with a brilliant new industry-disrupting technology, would have had the potential to significantly increase the country’s economic output if only it were possible to make any sense of them the next morning. Instead, we are left with scraps of paper with tantalizing but incomprehensible fragments such as ‘mist goes up into the diesel trunk’ and ‘bi-locking valves=friction reduction’ accompanied by a doodle of a triangle in a square.” Hofmann added that an additional $5 billion was lost from Americans who neglected their existing jobs while racking their brains to remember what the hell they wrote.